Nordic event and new report highlight the need for increased efforts to combat segregation in Nordic cities. Nordic cities are segregated and characterized by economic and social barriers that challenge the idea of the Nordic region as inclusive and socially just. Many cities in the Nordic region are therefore working to overcome the barriers and this objective can be detected for instance in their strategies for urban planning, neighborhood regeneration, housing policy and integration of immigrants. Nordic Welfare Center and The Swedish Agency for Youth and Civil Society organize a seminar in Stockholm on April 3 to discuss these issues and provide successful examples from the Nordic Region on how to combat segregation. A new report on “The segregated city: A Nordic overview”, by Nordregio Senior Researcher Moa Tunström will be presented at the conference, where representatives from relevant ministries from Denmark, Norway, Finland and Sweden will also discuss their respective national policies for combatting segregation. 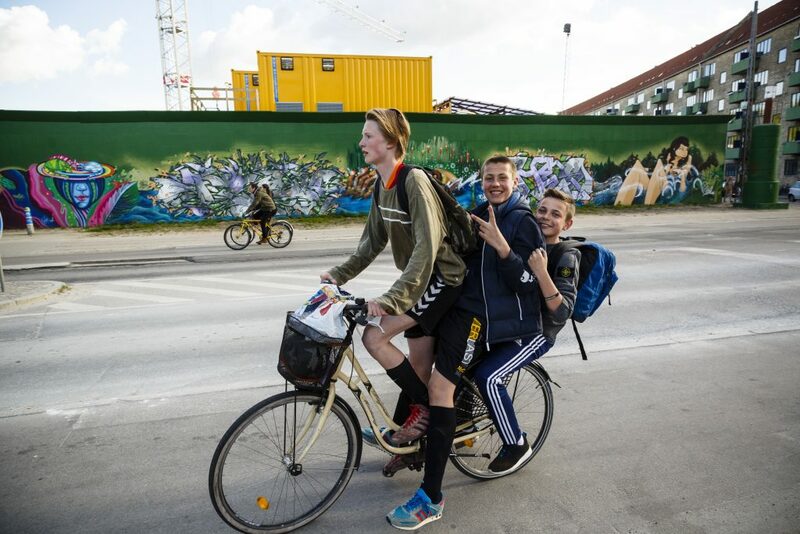 “The segregated city – a Nordic overview” focuses on structural causes of segregation and planning policies in Nordic cities and also brings up the challenges related to refugee housing. The latter is an issue that Nordregio studies in depth in an ongoing project called Long-term planning for inclusive cities in the Nordic region, which will be finalized later this year. In past years, the number of asylum seekers have decreased in Sweden, but the municipalities are still struggling with accommodating refugees, partly due to the large number of asylum seekers in 2015 and to the national housing shortage. Finding housing is a mandatory task for the municipalities, but cities are becoming more segregated and these types of housing solutions can be met with resistance from the local population. At the same time, the Swedish system where refugees and asylum seekers can settle where they want if they can arrange their own housing has resulted in the fact that many immigrants live in crowded conditions. In Norway, the system is similar to Sweden in the sense that immigrants are free to settle where they want if they can support themselves and find housing. However, they risk losing their economic support if they settle in a municipality other than the one they were placed in. In Denmark and Finland, asylum seekers who have received residence permits are allocated to certain municipalities to create an equal distribution rather than a concentration in certain cities, municipalities, or districts. One consequence of the Danish and Finnish systems is that immigrants are concentrated to a high degree in social housing. In 2018, Nordregio sent out a survey to Swedish municipalities asking how they are experiencing the housing of newly arrived refugees and asylum seekers. Half of the responding municipalities (30 out of 60) had met local resistance. Building new dwellings provoke more reactions from the neighboring society, than organizing housing in already existing dwellings. – Common arguments when protesting against housing for newly arrived refugees are both that the accommodation and its’ future residents are inappropriate, and that there are locations elsewhere that would be more favorable for them.”, says researcher Sandra Oliveira e Costa from Nordregio, who was in charge of the survey. -The character of the reactions differs from the response to other planning and building projects as the municipalities experience it. Increased knowledge about these processes is useful so that municipalities can find a way to meet local reactions in future planning and building projects, she adds.